If the Vox name was only known for being plastered on the first commercially-available wah-wah pedal ever built, Vox would still be considered a legendary brand. Of course, by the time the wah-wah pedal had taken hold, the Vox name was already synonymous with high-quality British amplification, having powered many groundbreaking British Invasion acts in the late 1950s and early 1960s with it’s formidable AC15 and AC30 combo amps, the unique Vox Mark III “teardrop” guitar, and Vox Continental portable organs . Even Vox’s later solid state amplifier offerings still garner interest from a wide range of collectors and players. The Vox brand is truly an iconic name in the world of gear, and under the ownership of Korg (since 1992) it’s achieved a heady mix of innovation for the future and respect for the past. Vox amps and pedals have formed the centerpieces of many top performing rigs every since Vox first hit the scene in the late 1950s, and nothing has changed. 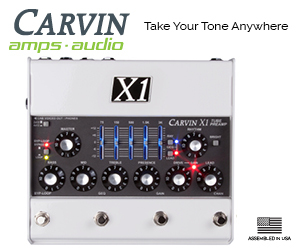 Following the lead of longtime Vox aficionados like Queen’s Brian May and U2’s The Edge, acts as varied as Muse, the Foo Fighters, Queens of the Stone Age, Radiohead, and Cage The Elephant have put Vox amps through their paces and developed groundbreaking tones still rooted in that classic Vox grind-y, responsive, aggressive chime. In the modern era, Vox has excelled at giving players true-to-the-classic version of the venerable AC30 and AC15 amplifiers and wah-wah pedals as well as gear with modern features and tones that still proudly wave the Vox flag. The Custom series delivers a look that is virtually indistinguishable from the classic amplifiers, but under the hood it’s a whole other story. 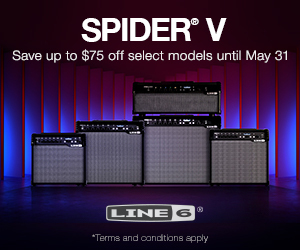 The old-school tones are still there, waiting for you bash out your best “She Loves You” or wail on “Bohemian Rhapsody”, but unlike the relatively spartan controls of the early Vox amplifiers, some Custom series models offer modern conveniences like reverb, tremolo, and effects loops. Vox also shook up the modeling game with it’s popular Valvetronix series. At the heart of the Valvetronix series is Vox’s Valve Reactor circuit, which integrates a 12AX7 preamp tube into the power amp section of the amp, helping retain the same tactile feel and response Vox tube amps are known for, but offering players access to powerful modeling options. In addition to 33 classic amplifier models, the Valvetronix series also puts 25 high-quality, stomp box-influenced effects at a player’s disposal and allows for up to 99 presets to be saved, making it easy to configure a Valvetronix amp for live and studio work. Meanwhile, the long beloved Night Train series adds a 21st century twist to Vox aesthetics and tones. Boasting two channels, guitarists can bask in the fat sparkle of classic Vox clean tones or crank the gain for modern crunch and lead tones. The lunchbox style heads construction evokes the classic Vox diamond grill cloth pattern, while the cabs add curvaceous flair. The Vox logo also echoes the past; it’s reminiscent of the logo Vox began using in the mid-to-late 1960s. 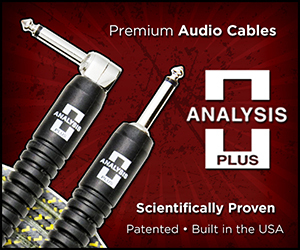 Of course, Vox is also known for the excellent products it has put at the feet of many a legendary guitar player. In addition to the wah-wah, Vox also produced the famous Tone Bender fuzz sometime in the early 1960s (details are bit a sketchy as to exactly when). Naturally, Vox hasn’t let up in this arena either. A recreation of the wah that Vox first shook the world with is still available in three different trim lines to accommodate any budget. But Vox has also expanded it’s horizons. TheToneKing.com readers already know about the killer Trike Fuzz. As proven with their Valvetronix series, Vox knows how to get true tube tone from just about anything, and it’s Flat 4 Booster, Straight 6 Overdrive, and V8 Distortion all have 12AX7 tubes driving their analog circuitry for strong, organic tone. Vox also offers a sweet-sounding, BBD-based Double Deca Delay that will slather your tones in rich, shimmering echo. If you’re looking to add the same sort of modeling power in the Valvetronix amp series while still using your favorite amplifier, the long-running ToneLab series puts it all in a convenient, multi-pedal package. Both the ToneLabEX and ToneLabST utilize the same Valve Reactor technology for the perfect balance between organic tube tone and ultra-flexible modeling technology. And for those wanting compact multi-effects pedal, the StompLab series answer the call. 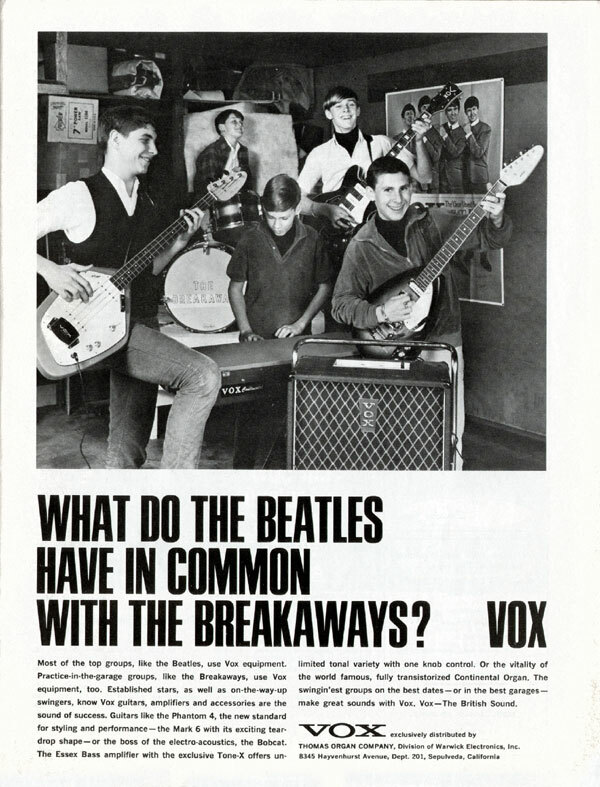 An old Vox advertisement from the ’60s, featuring a young, obviously amateur band called the Breakaways, noted that “..the swinging’est groups on the best dates – or in the best garages – make great sounds with Vox.” And that’s still true today, as Vox has deftly evolved it’s own product line to meet the needs of modern players, famous or not-so-famous, without casting aside the classic sounds, looks, and designs. The word “vox” is Latin for “voice”, and Vox amplification offers players plenty of ways to find one, whether it’s a tried-and-true tone that has powered some of the most groundbreaking acts or completely new sounds that inspire new directions and creativity in your own playing. From country-fired, chicken-picked leads, to brass-y, punk crunch, all the way up to molten, modern punch, Vox can give life to your musical voice.